As a self-proclaimed chocolate addict, it shouldn’t really surprise you that I would pretty much put any chocolate candy at the top of my list of Halloween favorites. Snickers, Milky Way, Whoppers, Reese’s Peanut Butter Cups, Baby Ruth, Twix, Kit Kat, Mounds, Butterfinger, M&M’s, Almond Joy, Milk Duds. 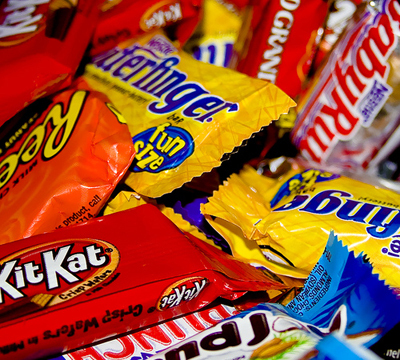 At the end of the night, I would gladly trade just about anything in my trick-or-treat bag for something chocolate. Skittles? Take them. Starburst? You can have them. Nerds? Twizzlers? Smarties? They’re all yours. The only non-chocolate item I would never trade is a Caramel Apple Pop. I am addicted to those suckers. All the goodness of a caramel apple without all the mess. 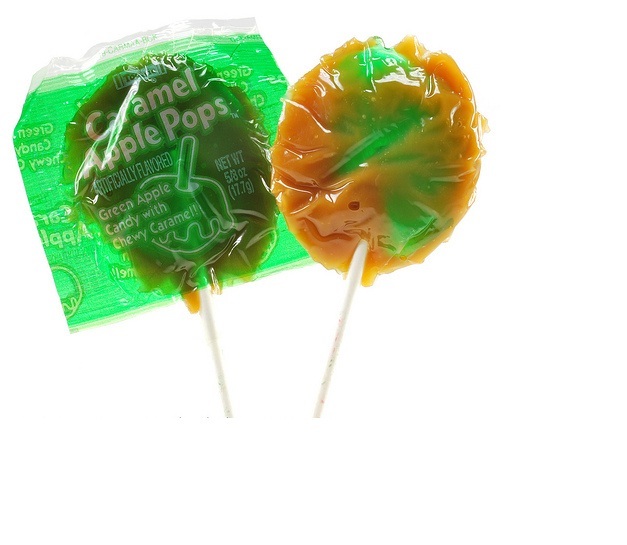 I’m pretty sure there was a period during high school where I ate at least one Caramel Apple Pop a day. I’m still sporting all of my own healthy teeth, so at least my addiction hasn’t had any lingering side effects. Yet, with all the good candy out there, Candy Corn somehow survives, and to me, that is one of the great mysteries of the universe because, let’s face it, that stuff is nasty. Eating Candy Corn is like eating lightly sugared candle wax, only sugared candle wax would probably leave you behind a slightly less offensive aftertaste. 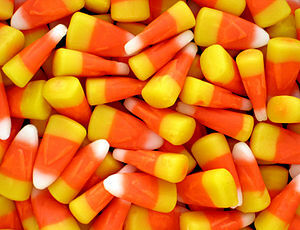 The best description of Candy Corn I ever heard came from comedian Lewis Black. So, for tonight, I’ll leave you with his analysis of the great Candy Corn mystery. Tonight’s 365 Project entry is dedicated to all of our favorite, and not so favorite, Halloween treats. Tell me, what tops your Best/Worst Lists?